A principal town of the Amazonas department in northern Peru, Chachapoyas is on many travelers “must-do” list. Nearby Chachapoyan ruins such as the well-known Kuélap, along with dramatic mountain scenery, make this a memorable detour for any traveler to Peru. A visit to Chachapoyas will be well worth your while. However, getting to Chachapoyas can for some be a bit stressful, or at the very least, an “adventure”. While the hair-raising highway and frantic drivers will make it an adventure no matter how well prepared you are, a little advance intel can make all the difference to your stress-level, and therefore, enjoyment. Travelers heading to Chachapoyas are limited to road travel. There is an airport in Chachapoyas, but as of February no commercial flights were being run in and out of there. In the past, commercial flights did operate, but a tragic air disaster stopped them. The surrounding canyon and weather conditions seriously compromise air safety, and the word on the street is that the airport lacks certain navigational equipment which might otherwise make commercial flight more viable (and safe). Chachapoyas can be reached from Cajamarca with the bus company Movil Tours, whose bus departs Cajamarca at 6am. It’s about a 10 hour ride along a dangerous road. Chachapoyas can also be reached from Tarapoto by taking one of the many buses from there to Pedro Ruiz, then taking a private ‘colectivo’ car (like an unmarked taxi) to Chachapoyas. 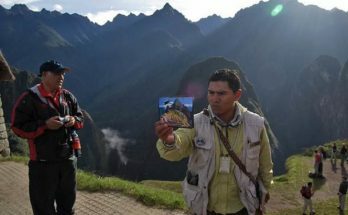 The vast majority of travelers, however, will attempt to travel to Chachapoyas from Chiclayo. This is by far the most economical and comfortable way to go. There are at least 6 operators who make the run. Among the best are Expreso S.A.C, G.H. Bus, Trans Servis Kuélap & Movil Tours. Expreso S.A.C has a “Bus-Cama” service on the lower level of their bus (3 seats per row, reclining to about 160 degrees), while the other operators offer only Semi-Cama. Both G.H. Bus and Movil Tours accept credit cards. All operators mentioned apart from Movil operate out of a common terminal in Chiclayo on Av. Bolognesi, literally across the street from the Linea terminal. Movil is about 2 blocks away. All operators have their own terminals in Chachapoyas, but being such a small town, it doesn’t really matter where you arrive. The price is around S/.45.00 one-way. The buses are quite comfortable and modern, and they generally offer some sort of refreshment early in the journey, along with movies and perhaps even a blanket. Your luggage will be safely stored below the cabin, and you will retrieve it at the end of your journey. This can be a real hassle. If you don’t speak Spanish, you might not even make it in a day. It’s far less comfortable. You’ll have to make a few stops and drag your luggage around out in the open. Nevertheless, it may still be an attractive option for you. For example, you might arrive in Chiclayo too late for the 8pm bus you’d planned on but really need to keep moving toward Chachapoyas. Or you might be happy to break the trip up and get to see some scenery as a result. In those cases, it might be worth your while to pursue this method. Take a bus to either Jaén or Bagua Grande. For example, both Movil and Linea travel to Jaén at 1:00-1:30pm or 11:00pm. It costs around S/.20.00 and up to S/.30.00 for a Bus-Cama service. Let’s say you take the 11:00pm overnight, which will get you into Jaén at about 5am. From the terminal in Jaén you’ll have to take a “moto” (3-wheeled motorcycle transport) for S/.2.00 to the colectivo stand and then to Bagua Grande. There are colectivo vans that run around S/.5.00 or station-wagons for S/.10.00. The station-wagons (cars) fill up, and therefore leave, more frequently. The journey to Bagua Grande takes about an hour. By now it might be as late as 8:00am. Once in Bagua Grande you’ll have to take another moto for S/.2.00 to the colectivo stand for Chachapoyas. There are at least 3 separate co-ops which use the same kind of station-wagon cars. 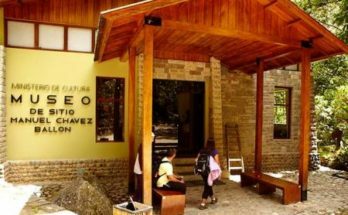 Here you will once again wait for a car to fill up and then make the 2.5 hour journey via Pedro Ruiz to Chachapoyas for about S/.20.00. By now it might be getting close to lunch time, and you’ve spent at least S./49.00. Furthermore, if your car didn’t fill up “naturally”, you might be tempted to pay for the empty seats so that the driver will agree to depart. If you had taken the 1:00pm bus out of Chiclayo, it might still be possible to get to Chachapoyas the same day – although unlikely. You should have arrived in Jaén at 7:30pm. An immediate colectivo to Bagua Grande might have gotten you in by 8:30pm. Cars to Chachapoyas generally don’t run after 8:00pm – but you might get lucky, or you might just have to offer a driver a little more dough! 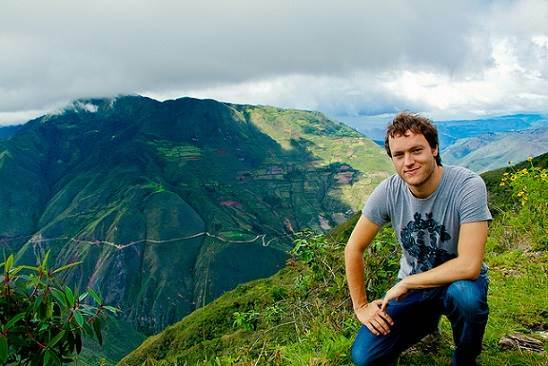 The only other possibility might be that you will want to travel direct from Lima to Chachapoyas, or vice versa. In that case, think of the arrangement as being like Option 1 to Chiclayo, although the trip will take 24 hours, it will only be a Semi-Cama service, and you won’t be able to leave or join the bus along the route. G.H. Bus and Movil Tours leave Chachapoyas around 10:00am, arriving 24 hours later in Lima. Buses coming back from Lima leave around 4:00pm. There’s nothing worse than arriving in your destination only to be too tired or demoralized to enjoy it to the full. 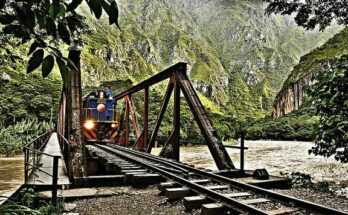 Hopefully, by being armed with a reasonable understanding of how this journey will work, you’ll arrive ready and eager for the real adventure – exploring Chachapoyas and it’s surroundings!